The Committee was briefed by the Independent Electoral Commission (IEC) on outcomes of the last voter registration weekend and interesting stats and numbers about the voters’ roll. The Committee resolved to visit the IEC offices to conduct oversight and get a full picture of preparations for the elections. Members questioned the registration drive for campuses, enforcing the legislative provision for the prohibition of the use of state funds for electioneering purposes and low registration numbers in Gauteng. The Committee applauded the IEC for the wonderful work it has done and continues to do. The Committee looks forward to free and fair elections. Oversight of the Commission will continue. Before the date of proclamation is declared, all people are encouraged to register. The matter of uncollected IDs must be addressed. Turning to the Gupta Naturalisation Inquiry, the Committee agreed it would call the lawyers representing Mr Ashu Chawla as the lawyers stated in a letter to the Committee that it took no responsibility for the summons issued by the Committee as the lawyers did not know the whereabouts of Mr Chawla. The Committee endeavoured to complete its work on the Gupta Naturalisation Inquiry before rising for the term. The Committee would not be deterred by efforts to clearly derail its work. The Committee would begin looking at resolutions which it can make in relation to findings of the Inquiry. The Committee discussed the Immigration Amendment Bill particularly an update on where processes were with the Departments of Home Affairs (DHA) and Justice and Correctional Services (DJCS) on the Bill. 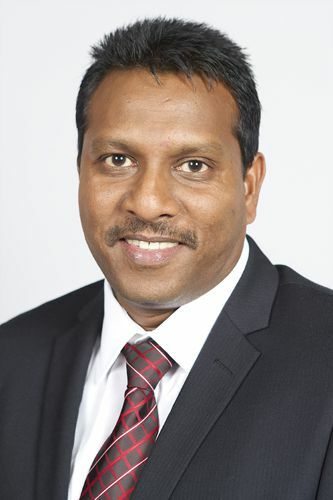 The Minister of Home Affairs appealed for more time for further consultations. He emphasised the need for all measures to be in place to ensure the Bill is fully implemented and compliant with the court judgment. The recommendation for more time kept in mind the court deadline of June 2019 – the DJCS agreed on the proposal for further time for consultation not necessarily on the Bill itself but the broad matter of illegal migration. The Department endeavoured to return to the Committee in two weeks to assist the Committee in crafting its legislation. The DJCS is pleased the Bill cures defects the Constitutional Court pointed out. The Department is also of the opinion that the Amendment Bill is constitutionally sound. The Committee stressed the need for coordination between the relevant departments, such as DHA, DJCS and the police, as all entities are expected to implement the legislation. The Committee was urged to introduce the Bill formally so that should the Committee not complete processing the Bill before the current Parliament rises, the new Committee can resolve to revive the Bill and continue with the foundation laid by the Committee instead of starting the process from scratch. The Committee agreed to the need for further time for consultation. DHA briefed the Committee on the status of the Cape Town Refugee Centre. There were challenges with procurement and the Department of Public Works. The tender process was outlined along with budgets. The Department said the Committee and court would be kept informed as per the court order. The Committee emphasised it would maintain oversight on the matter and the Committee would consider conducting an oversight visit to the facility to assess operations. The Department was urged to look into a permanent solution for these facilities instead of renting. Members said there must be a dispensation where people feel free to declare themselves. The repositioning of Home Affairs speaks to these matters. The Committee might need to invite experts to engage on this. DHA had been asked to give a briefing on the use of cellphones by DHA frontline officials during office hours as the Committee felt strongly this behavior is unacceptable and raised security concerns. Members were pleased with the swiftness with which videoed incidents of officials using cellphones while assisting customers had been dealt with. The Committee agreed on a complete ban on the use of cellphones by frontline DHA officials as based on policy. This must be enforced and action taken against an official found using a cellphone during working hours at the frontline desks. The Committee adopted its report on the Electoral Amendment Bill, a Private Member's Bill, which the Committee voted as undesirable. The Chairperson welcomed Members back from recess noting there was not much time to rest as Members were busy with election campaigns and setting up of structures for elections to ensure the election campaign machinery is ready. Parliament would have a very short session for the remainder of the term. The Committee has pulled together matters which are most critical for it to address before the House rises. The Chairperson welcomed the Minister of Home Affairs, Mr Siyabonga Cwele. This is the first time the Committee is interacting with the Minister since he was appointed in November 2018. He said the Minister has entered the Ministry at the right time where some of the storm has passed. The Committee has placed emphasis on its function of accountability and ensuring the Minister and Accounting Officer is held accountable. Today the Committee would be briefed by the Departments of Justice and Correctional Services and Home Affairs on the Immigration Amendment Bill given the June 2019 deadline. Ms S Nkomo (IFP) asked if representatives from the Department of Justice and Correctional Services, in the absence of the invited Minister of Justice, were fully au-fait with the matters on which they would have to brief the Committee. The Chairperson noted the Department would have received comprehensive communication on the agenda of the Committee’s meeting and the areas of the agenda which the Department would have to engage Members on. Department of Justice representatives confirmed this. Mr Glen Mashinini, IEC Chairperson, prefaced the presentation by mentioning it is the 25th anniversary of the first democratic elections which has become immortalised as South Africa’s national Freedom Day. The day signifies the start of SA’s journey into constitutional democracy. Since then the country has successfully held five national, provincial and municipal elections as well as hundreds of by-elections successfully. SA’s elections have been lauded globally in line with the law. SA has the highest standard of best electoral practice and fully conforms to norms and standards set by the United Nations, African Union, Southern African Development Community and other peer groups around the world. SA has high numbers of electoral participation despite voting and registration being non-compulsory. SA’s robust multiparty democracy continues to grow and this is seen in the growth of the number of registered political parties and candidates. This did not mean there are no challenges. This year South Africans will go to the polls for the sixth time to elect representatives for the national and provincial legislatures and to reaffirm commitment to the journey of democracy. President Ramaphosa announced at the State of the Nation Address (SONA) last week that elections will be held on 8 May 2019. The presentation today would update the Committee on final voter registration and other critical factors. It is critical that elections prevail under conditions conducive to free, fair and credible elections. Engagements will continue with critical stakeholders, namely the political parties, to ensure political campaigning takes place freely and without fear, intimidation and violence to support tolerance and mutual respect. It is critical that the voters' roll is credible. Any flaw in the voters’ roll can mar the elections. The IEC has come from 34% compliance in 2016 to 83% compliance in the provision of addresses in the voters’ roll today. SA has one of the most transparent and inclusive electoral processes in the world and political parties, through party agents, play a vital role. Training of personnel undertaking elections would now begin. All political parties are encouraged to put their party agents forward for training as early as possible. Another critical success factor is a high rate of participation – the greater the rate of participation, the greater the legitimacy of representatives appointed. The IEC continues to push for this participation in registration and voting. The Commission is pleased to report almost 2.5 million citizens visited voting stations over the final registration weekend. Combining both registration weekends means 5.2 million South Africans are registered. There are currently around 26 million eligible registered voters in SA – this is a whopping almost 75% of the eligible population. By any world standard, where it is not compulsory to vote, this is very high. The IEC will continue to strive for improved levels of participation. The IEC appreciates the collaboration of the Committee including the pace at which it worked to process the Electoral Laws Amendment Bill. The appreciation was extended to the DHA and the Minister for continual support provided to the IEC. The IEC is ready to deliver the upcoming elections. Mr Sy Mamabolo, IEC CEO, took Members through the presentation beginning by looking at key numbers to come out of the voter registration weekend per province in terms of the number of new registrations and re-registrations. In 2019, there were 1 194 314 new registrations, 1 964 174 re-registrations in a different voting district and 2 081 171 re-registrations in the same voting district. Looking at the current status of addresses, by 30 December 2018 there were 83% complete addresses compared to 34% in 2016. The IEC anticipates a record number of political parties will contest 2019 national and provincial elections. The current number registered at a national level is 285. The number of parties added to the national register since January 2018 is 47. The number of applications for national registration currently under consideration is 37. Looking at the Political Party Funding Act, the drafting of regulations is already underway. The draft regulations will be published for public comment before the end of February 2019. The development of an electronic declaration system through which political parties and donors can make submissions to the Electoral Commission for donations above the threshold is also underway and is planned to be ready from 1 April 2019. The recruitment process is underway for the Head of the Party Funding Unit. The Chairperson noted the Committee resolved to visit the IEC offices to conduct oversight and get a full picture of preparations for the elections. This could be liaised for the coming week. Ms Mkhaliphi questioned the registration drive on the campuses noting some of the provinces were not responsive to the call for the distribution of the programme. She was worried about the timeline in this regard. Mr Mamabolo replied there are specific dates for each campus and the information could be shared with the Committee. Mr Hoosen noted the recent legislative amendment made provision for the prohibition of the use of state funds for electioneering purposes. He asked how the IEC planned to enforce this and what it defined as constituting the use of state funds – are there intended guidelines or regulations? Provisions must be clear to avoid loopholes. Mr Mamabolo replied that there is the Office for Electoral Offences within the IEC which investigates instances of transgressions to the Electoral Code of Conduct. The amendment to the Bill is part of the Code of Conduct. Where evidence is found, it will be referred to the Electoral Court for proper adjudication. Only the Court can issue sanctions and not the IEC. Ms Raphuti was worried about the low level of registration in Gauteng. Mr Mamabolo pointed out many of the voters registered in their home provinces such as Limpopo, Mpumalanga and North West – people often wanted to vote at home. Minister Cwele congratulated the IEC for the good registration. He thanked the youth for registering. The critical date is the date of proclamation. Until then, citizens, especially young people, should be encouraged to continue visiting the municipal IEC offices to register from Monday to Friday. It is clear the youth, especially those at tertiary institutions of learning, must be assisted in this regard until the date of proclamation. In terms of IDs, the Department is doing well and the public is responding. This year, the Department plans to produce three million IDs – to date, about 2.8 million has been produced. Since 2013, more than 13 million smart cards have already been issued. There are about 374 000 IDs which are uncollected – majority are reissues while about 84 000 are new IDs. People are appealed to collect their IDs. The Department is being assisted by Speakers of municipalities and provincial legislatures with the distribution of the IDs – the Committee will be briefed on this. The constituency offices should also be encouraged to assist in this drive. The Chairperson applauded the IEC for the wonderful work it has done and continues to do. The Committee looks forward to free and fair elections. Oversight of the Committee will continue. Before the date of proclamation is declared, all people are encouraged to register. The matter of uncollected IDs must be addressed. The Committee is obligated to ensure the IEC delivers successful elections. The Chairperson informed Members that a letter from the lawyer of Mr Chawla has been distributed. The Committee has issued a summons but Mr Chawla was playing hide and seek. There would be a meeting with the Deputy Speaker of the National Assembly today to finalise the matter. The lawyer’s letter stated they do not take ownership of the summons issued by the Committee because they do not have Mr Chawla’s address and do not know where he is. The Committee might have to call the lawyers in its next meeting as they have made a commitment to represent Mr Chawla and so have a mandate from Mr Chawla– the Committee would work with the Speaker and the Committee Section on this. It is clear there is an attempt to derail the work of the Committee. The lawyers would be called to appear before the Committee to explain their actions. The Inquiry will not die and the Committee will end its programme by concluding work on the Inquiry. Some of the matters raised would be shared with the Zondo Commission. The Committee staff have been instructed to look at preparing some of the matters and findings for Members to make a resolution on. The Committee Secretary took Members through the contents of the Report – the Report covered the objectives of the Private Member’s Bill and the Committee process in dealing with the Bill. The Bill was voted as undesirable by the Committee. The Report was moved for adoption by Ms N Shabalala (ANC) and seconded by Ms H Mkhaliphi (EFF). The Committee Report on the Electoral Amendment Bill [B24-2018] was adopted. The Report would now head to the National Assembly. 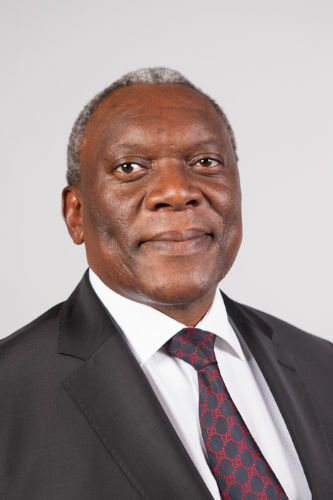 Dr Siyabonga Cwele, Minister of Home Affairs, mindful of the court judgement, noted the Bill was initiated by the Committee. There are a number of areas still requiring further consultation. It is important not to go beyond the scope of the judgement. The biggest concern for the DHA is the need for additional measures to comply with the court judgement such as special courts. It is important that all measures be implementable and in compliance with the court judgement. This includes the matter of languages. The Minister recommended the Department be given time to assist the Committee mindful of the deadline of June 2019. The Department will return to the Committee in two weeks to assist the Committee in crafting legislation which is implementable. The Chairperson noted the concern of the timeframe. It is key that the departments are coordinated on the matter effectively as DJCS, DHA and the police would be expected to implement the legislation successfully. The Committee would fast-track the amendments. Mr Pieter Du Rand, Chief Director, Department of Justice and Correctional Services, agreed there is a need for further discussions not necessarily on the Bill itself but that the matter of illegal migration be dealt with in a broadly synergised manner. Regarding the Bill, even before the judgement occurred, the DJCS engaged with other role-players, such as the police and DHA, to look at how the matter would be dealt with if the judgement was not favourable. Therefore DJCS was able to respond very quickly to the judgement and look at what was required to ensure people appeared before the courts within 48 hours. In the big centres, the Department instituted special courts which were run by Magistrates – since then matters have stabilised. There are interpretation services into English or the language of the court. There have been engagements with the Magistrates, Chief Magistrates and Magistrate’s Commission to ensure there is understanding of the impact and requirements of the Constitutional Court judgement. People are being brought to court within 48 hours and there is interpretation services where required. It must be remembered that sometimes people are arrested in a different province and must be conveyed to a court – this is where challenges of time arises. Funding was granted to assist with resources and equipment, such as vehicles, and project plans have been drafted to assist with these aspects for implementation. The DJCS is pleased the Bill does cure defects the Constitutional Court has pointed out. The Department is also of the opinion that the Amendment Bill is constitutionally sound. In terms of language, it is found foreign nationals in SA do business in English and all other languages but when they are caught, the individuals suddenly need interpretation services – this is a challenge to be dealt with. It is also found the foreign national will claim to only speak a specific dialect when it is found the language spoken in the country of origin is often English, as is the case in Nigeria. The DJCS has developed a databank of interpreters to speak different languages in the regional offices and country-wide. Once a person appears in court within 48 hours, the case can be postponed to get specific interpretation to that court. The Department is confident that once the Bill is passed, the necessary policy would in place along with the necessary infrastructure regarding the matter of language. Mr Du Rand said there is a need for further consultation to tie up any loose ends there might be between the relevant departments. The DJCS chairs the national development committee which is a sub-structure of the JCPS committee. The national development committee is a technical one ensuring all transversal matters are covered. The committee met two weeks ago where it was decided a meeting of the relevant role players is required, namely, DHA, the police, Legal Aid, National Prosecuting Authority and DJCS to look at the Bill in its current form and whether there are any gaps in terms of implementation. Discussions today would be taken on board by this committee. It is important not to look at the Bill in isolation. There must be synergy between the Bill and other efforts the cluster is looking into. Mr D Gumede (ANC) asked that the Committee allow the implementing arm of the state to assure the Committee it is in a position to implement the Bill – as things now stood, this does not appear to be the case. It is not possible to have interpreters for all languages in the world so how would this be addressed? Would there be different cells for illegal migrants, away from criminals? Are there enough facilities for this? The Chairperson cautioned Members not to get into a discussion. Matters would be noted by the Committee for further discussion at a later stage. The matters would also be passed on to the relevant departments by the Committee especially the cluster the DJCS chairs. It is important to be mindful of the deadline of June 2019. The Legal Advisor outlined the Bill has not yet been formally introduced to Parliament and is still in draft form. Should the Bill not be introduced before the current Parliament dissolves, all work done up until now will lapse. The new Committee would then have to seek permission to introduce the Bill. The appeal is for the Committee to introduce the Bill formally before the term ends so that the new Parliament can revive the Bill by way of resolution as the Rules of the National Assembly make provision for this. The Committee agreed for the need for further consultation. Minister Cwele remarked that there is compliance with the Port Elizabeth office but challenges remain in Cape Town. These challenges relate to procurement – through the Department of Public Works (DPW). DHA is trying to finalise the process as fast as possible, hopefully by March. Mr Thulani Mavuso, Acting DHA Director General, explained there was an open tender for a facility. Six bids were received. The tender closed in October 2018 with a validity period extending to the festive season. One bid was found not to be responsive with the Treasury database. DHA agreed with the technical bid DPW recommended. There was budget confirmation of the proposed site and a submission was made to supply chain. Costing processes show the facility would cost DHA, on average, R236 000, a month to rent which is about R3.7 million a year. This cost is only for the shell of the facility and does not include operating costs. Once supply chain processes are complete, there would be immediate consultation with the landlord to look at matters of operational design in line with corporate identity. The same model would be used as the Desmond Tutu Refugee office. Following sign off of the project, renovation of the facility will begin to be suitable to receive clients. The Committee and court will be kept informed as per the court order. The Chairperson said it is important for the Committee to maintain oversight of the matter and the Committee should consider an oversight visit to assess operations. He asked if the office will be up and running by March. Mr Mavuso explained the office will then be under refurbishment to bring it in line with workflow processes and design. The court will be kept informed of timelines around processes. The Chairperson asked if the Port Elizabeth office is in operation. Mr Mavuso responded that the office is open but there are staffing challenges but this is being resolved. The office has seen an increase in numbers as the new arrivals are coming to this office. The Chairperson asked if this meant people were not arrested. Mr Mavuso said there are arrests but in the case where there is no deportation facilities there would have to be a transfer. The 48-hour court process then kicks and frustrations are experienced such as individuals claiming not to speak a language etc. This is why the office in PE might take longer to process matters compared to Desmond Tutu, for example. The Chairperson said Parliament must acknowledge SA is a receiving country for refugees, illegal migrants and asylum seekers and the country must not found to be wanting when it comes to matters of rights etc. The judgement arose from SA’s failure to comply with its constitutional obligations. There must be an approach in dealing with migration, immigration, infrastructure etc. SA is lauded for its policies compared to other countries where refugees and asylum seekers are placed in camps – SA has a wonderful open system although this comes with its own challenges. It is a reality that one can travel deep into villages, such as in the Transkei, and find businesses which used to be occupied by South Africans are now run by other nationalities – this is also seen in city centres. There must be a way to control legal and illegal migration. For the last 17 years, the Department only has one deportation facility and about R10 million per month is spent on the facility. The Department must look into the matter of facilities. Fittings placed into offices cost a lot of money – when the lease is up, all these fittings are dismantled and destroyed. DHA must look at a permanent residence. In many of the offices one would find systems are down – this does not reflect the serious home affairs security matters for which the Department is responsible. With a sea of migrants in the country, matters of security are critical. Borders of the country are porous – visits to points of entry make this evident. In some parts of the country there are no fences and people can simply walk in and out. At the same time, SA must comply with international obligations. Often the police complain it cannot trace the whereabouts of illegal migrants when crime is committed. Having completely undocumented individuals is a security risk to the country. There must be a dispensation where people feel free to declare themselves. Repositioning of Home Affairs speaks to these matters. The Committee might need to invite some experts to engage these matters further. Minister Cwele agreed there is a need to come back and brief the Committee. SA remained very committed to the culture of human rights – this is unwavering. International conventions were signed and used as legal instruments to guide the country. Everyone is welcome to come to SA legally and fair measures and procedures have been put in place, compared to other parts of the world, for people to come to SA. Refugees and asylum seekers are welcomed into SA legally. SA has a huge challenge when it comes to economic migrants who enter and work in the country illegally – when they are caught they declare themselves refugees and asylum seekers. This is a problem and ways to deal with this are being explored. This clogs the system. All legal asylum seekers are welcomed into SA – one must come through the front door and not the backdoor. SA is a developing country and young democracy with limited resources. European countries are also receiving regions but have more resources to cope. The Minister just returned from Addis Ababa where some of these matters were discussed at the African Union summit under the theme of displacement. Solutions must be found for the root causes. There is continuous engagement between SA and its neighbours. SA remains a developing country. It was hoped that developing countries would be given assistance in dealing with displaced citizens. Instead, countries are being encouraged to borrow money from the World Bank. SA’s debt to GDP ratio is very high and this must be maintained to ensure the country did not become a client of big global financial institutions and to ensure the country has some policy space. SA cannot afford to borrow money for people who entered the country illegally. This is currently a challenge. People who entered SA legally can easily be managed and budgeted for but the problem lies with those entering the country illegally especially given that the front door is wide open. Political and economic stability is key in reducing the number of economic migrants and refugees forced to come to SA to better their lives. The Department will return to the Committee on the matter. Mr H Hoosen (DA) said it is important to encourage the conversation but also that the conversation not be had in isolation as the reality is that Home Affairs becomes the beneficiary of the failures of other departments. An example is border management which is not the responsibility of Home Affairs alone. The Department not knowing the true extent of the number of illegal immigrants in itself builds frustration. The result is that more often than not, genuine refugees bear the brunt of the anger. The current arrangement is fragmented and does not work. Unless DHA has proper collaboration with the Department of Defence, police and other law enforcement authorities, money will continue to be placed in a bottomless pit. In fact the more facilities built means more undocumented immigrants will be welcomed. There is a need to ensure it is as easy as possible for people to enter the country legally – DHA is failing in making as difficult as possible for people to enter the country illegally. The money spent on renting facilities is a small portion and does not cover other expenses such as the cost of deportation in many cases along with transport – this translates into hundreds of billions of Rands if added up over the years. The conversation must be encouraged but in collaboration with other departments – DHA cannot carry the policy on its own. Ms H Mkhaliphi (EFF) noted the Committee has already asked that the Department brief it thoroughly on the policy – this was already requested some time ago in anticipation of a crisis. The huge problem of xenophobia on the ground emanates from this policy failure in the Department. There is currently an anti-African sentiment on the ground. Africans vs. South Africans is largely taking place in KZN – Africans are specifically targeting in the discussion of other nationalities in SA. Government must work with communities to ensure they understand especially the economic context of other Africans seen as taking the jobs of South Africans. The Department must take this into consideration even in the discussion of crime – this is very important. The Chairperson said this might be something to insert into the Committee’s Legacy Report for the Sixth Parliament to take up in the form of a seminar with all stakeholders on the matter of migration, refugees and asylum seekers. While there is not much time left, the Committee could itself squeeze this in before closing – recommendations could be provided to the incoming Parliament. This discussion is not new but is ongoing. The UNHCR could also be invited to such a seminar. There is concern around the money spent to simply lease a facility when a more permanent solution must be established. There is also a need for a briefing by DPW on the matter of facilities and the move away from outsourcing. The Committee would be dealing with the matter of outsourcing of visa applications next week. It is key for the state itself to provide services. The Committee Content Advisor showed the Committee video footage of frontline DHA staff using their cellphones while working. The Chairperson said the Committee felt very strongly this is unacceptable – this concern was communicated to the former Minister. It is reflected as the failure of government and the Department to provide services properly and raises the matter of security as the staff are not focused or paying attention. The Committee condemned the use of cellphones by frontline staff strongly and would not accept such behaviour. The call is for there to be a total ban on the use of cellphones by frontline staff. Frontline staff service national and international clients on a daily basis. The Committee has been criticised by the unions representing the workers as overstepping its boundaries in making this call. The Committee has a constitutional duty to conduct oversight over DHA and its officials. Minister Cwele noted he made an unannounced visit where Ms Nosipho Mkhupheka works in the DHA office in Scottburgh. Ms Mkhupheka has been lauded in social media recently for her impressive work ethic and service. The Minister was pleased to see South Africans of all colours were praising the service received at the office. While there are many hardworking DHA officials, there are those not upholding this ethos as seen in the videos shown. The woman in the video clearly as no idea of what it is she is stamping. The official was given a final written warning. The Department does have two policies on the use of cellphones and both are being reviewed. Officials working in frontline services must serve the people because many offices have the challenge of long queues. Some of the queues are due to lack of personnel and budget cuts but on the main it is because of network services. The Minister was informed the lines were two megabytes which is inadequate for the live capturing to be done. The hope is to increase this capacity to at least 10 megabytes within the immediate resources. Ideally the line should be a 100 megabyte one for the live capturing and transferring of the data to relevant entities – this should take a few seconds but it is taking minutes. These are the matters to address. Policies related to cellphones will be reviewed because it not only concerned ensuring people are served in line with a Batho Pele spirit, but there are also security considerations. There are some instances where cellphones are used for official communication instead of the landline. These matters would be reviewed and the Committee will be briefed again with the details. In summary, the officials shown using their cellphones while working are in breach of the DHA policies. The policies are being reviewed to be streamlined in terms of ensuring people are served better and there is protection against corruption which happens in some of the offices. 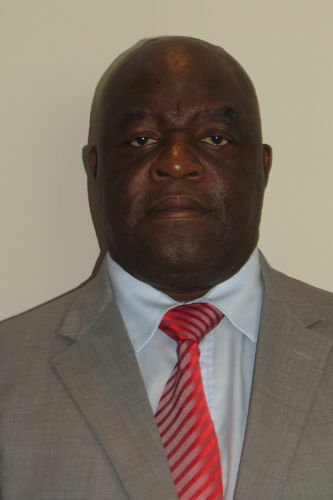 Mr Mavuso added the use of cellphones by DHA officials was raised as a security concern. It is felt this is unprofessional therefore in the 2003 circular issued by the Department, concerning the policy on the use of cellphones, cellphones were banned on 3 March 2003 at ports of entry. Port managers are responsible for ensuring there is compliance in this regard. There were consultations with the unions in the bargaining chambers and there was agreement cellphones must be banned. This led to the circular of 2012 which is an extension of the 2003 circular. Since 2012, the Department has reduced the use of cellphones by the front office. Again, the responsibility of ensuring there is implementation of the policy lies with the office manager. He said that the day before these videos were released, he and the provincial manager were in the office to ensure operations were running smoothly. The provincial manager investigated the matter and the office was visited. Officials implicated were afforded an opportunity to provide their responses in writing, as is in line with policy. The findings of the investigation indicated there was a power outage during the incident which caused the break in service as the generator was turning on. While the system was rebooted, the officials made use of the cellphones at their workstation – this is still not supposed to be done because if an official has a personal issue to attend to, they need to move to the back office. An announcement was made in the office that there was a break in service and clients had to wait until the system was running again. While it is not known why the videos were taken, these officials should have excused themselves if there is a need to attend to a personal matter. This happened during the week the DHA was operating 07h00 to 19h00 which means officials were in the office for 12 hours or longer at the given period. Officials said they were communicating on the phone with regard to transport and picking children up from school. The officials however contravened Department policy and were issued with written warnings. This warning would remain in their files. The recommendation is that the Committee notes the report and steps taken by the Department to restrict the use of cellphones in all offices since 2003. As Minister said, the policies will be revised. There are posters in the office banning the use of cellphones by officials but the message needs to be resuscitated especially when new staff members were recruited. Officer managers have a duty to remind all staff of this and ensure implementation. An instruction has been sent to the ports of entry and all offices to enforce the policy. In the case of the official in Beit Bridge, she was given a final written warning – if she commits a similar offence she will be dismissed. Mr Hoosen appreciated the quick turnaround and swiftness in which the matter was dealt with. He informed the DG of the incidents and had received the media statement and notice of an investigation within two to three days. It provides a sense of satisfaction that if complaints such as these are received, they are dealt with speedily – he thanked the Department for this. These videos provide a lesson for all DHA officials which is that millions of South Africans are conducting their own oversight over officials throughout the country – citizens are taking matters into their own hands by using their cellphones and social media to expose weaknesses in government. Everyone must be more vigilant because people are watching. He did not understand how the one official could say he was using his cellphone because of the power failure when, if one watched until the end of the video, the official is seen using the computer – this shows there cannot have been a power failure. Also, if there was a power failure at a DHA office, one must ask where the back-up generators are and the ability of these offices to function when there is load-shedding. Ms Mhaliphi thanked the Minister for visiting the Scottsburgh office – the conduct of Ms Nosipho Mkhupheka as a civil servant must really be lauded as more of this is required. The Committee requires a progress report on the addressing of long queues as this has been happening in the Department for a long time – government cannot fail on this front and must present solutions. As the DG said, even if there was no power, there was no need for these front-desk staff to use their cellphones– the clients must be placed first and attention to this must be shown by the staff. This behaviour of not attending to clients in the DHA offices happens all the time but it is not always filmed. There must be a clear strategy to deal with these matters. Ms D Raphuti (ANC) applauded Ms Nosipho Mkhupheka for the selflessness she displayed with a smile – she is a South African hero. This conduct must be welcomed and written about in the DHA monthly publications. There is an uncaring culture of using cellphones in the public service during working hours – it is rude when a service is being provided to the public. DHA must be applauded in how it has dealt with the matter. Ms Nkomo also applauded the services conducted by Ms Nosipho Mkhupheka. She recommended the Minister pen a letter to thank the employee – keeping this letter in the employee’s file would be helpful in the case of promotion or salary increase. She stated there are three places where mothers fear going alone – the DHA, the police station and hospitals. This is because they are scared of how they are treated at some of these places. These places must be user friendly. She thanked the DG for working effectively to ensure the matter of the use of cellphones was addressed. She recommended that all behaviour or practices not allowed by DHA staff be written down in one place so that everyone is aware. The Committee would continue with its oversight function as this is the role of the Committee. Mr A Figlan (DA) was concerned about the generators in offices when there is load shedding. He noted he referred a case to the DG on a mistake that was made on an ID where the mistake was caused by the Department. Often people on the receiving end of this service cannot afford to pay more money to have the error fixed – another ID would cost R140. Paarl DHA office is well run but is always fully and overcrowded with people coming from Stellenbosch and even as far as Bellville – one must look at why this is and if this means the service is bad in these areas. The Chairperson asked about the discipline in place for managers and supervisors to ensure there is adherence to the policies. What measures have been put in place to ensure policies are adhered to? Often frontline officials do not wear nametags when the policy is clear that this must be worn. What is expected from managers and supervisors? Has action been taken against the managers and supervisors who allowed officials to use cellphones during working hours when doing so is banned? This is serious. The DHA KZN Provincial Head said that when he was instructed to investigate the matter and the issue of generators was mentioned, it turned out there was a power failure on the day and the generator did kick in. While the operating system was down and before the generator kicked in, this was when the official made use of the cellphone. This was confirmed by the IT division. All modernised offices in the province have generators which kick in as soon as the power goes out. In the province, the DHA structure is headed by the provincial head/manager while various districts are run by senior managers at the level of directors. The directors report to the provincial head. Each office in a district is run by an office manager. Policies are circulated to everyone in the province through internal communication. This internal communication is accessible by every official. The KZN provincial head said he has started looking at all policies which impact service delivery on the level of the office. This is then circulated and reemphasised to managers to bring to the attention of officials. When conducting the investigation, the officials admitted they were aware of the policies on the use of cellphones – this is contained in the statement. This shows the policies are effectively communicated. The matter to look at now is consequences for failure to adhere to the policy or directive which is known about. Office managers are supposed to take action against officials who fail to adhere to issued policies and directives. When the incident happened, the office manager was on leave. The acting manager confirmed she had explained the problem of the power failure to members of the public in the office. Under normal circumstances, such transgression would require consequences for the office manager but in this instance, the KZN provincial head dealt with the matter personally because of the scale of the fallout. To reiterate, every policy is communicated to officials in all the languages. It is expected that a register be kept of all policies circulated to ensure officials are made aware. Mr D Kekana (ANC) questioned why a video was taken if it was made clear to the public present at the office that there was a power cut. Why was no action taken against the line manager? The incident presented many questions. He welcomed the Minister to the Department recommending he look deep into governance issues of the Department. The Chairperson said the report presented to the Committee is missing information on action taken against the line managers and supervisors in these cases – this must be presented next week as these line managers and supervisors oversee the officials. Every single official in the frontline must have a nametag – it is clear from the video that one of the official’s does not have a nametag. Do frontline staff wear a uniform? Mr Mavuso explained it is policy that every official have a nametag. All frontline officials must wear a uniform – some do not because of challenges with budget and the Department being unable to supply everyone with an adequate amount of uniforms. The Chairperson said those who have uniforms must wear it. There must be a total ban on the use of cellphones by DHA frontline officers based on the policy. This is how the matter would be closed. This must be enforced and action will be taken against any official found using a cellphone during working hours on the frontline. People who approach DHA must know the kind of service they can expect when visiting an office.